This powerful combination of supplements delivers the most essential nutrients needed to help accelerate weight loss, maintain optimal health, recover from physical stress, and improve performance. 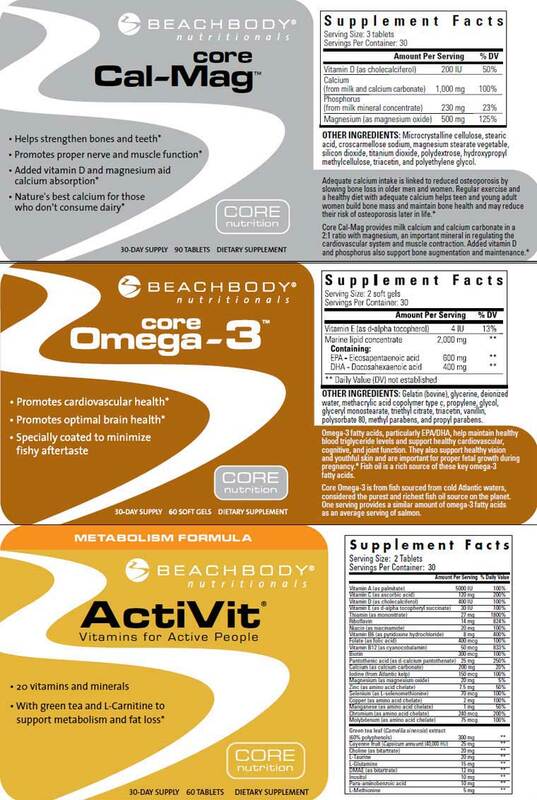 * Comes with Core Cal-Mag, Core Omega 3, and ActiVit Metabolism formula. Consult with a healthcare professional if pregnant, breast feeding, providing to a child, or if you have any other unique or special needs. Keep out of reach of children.